The nice thing about the Scarlet Monastery is that there are actually 4 different instances here that you can run through. This makes it nice because you can choose which one you want to go through or if you have the time you can go through them all. Each of the instances can be accomplished in about 25 minutes or less. If you are a high level, you should be able to pretty much solo these. 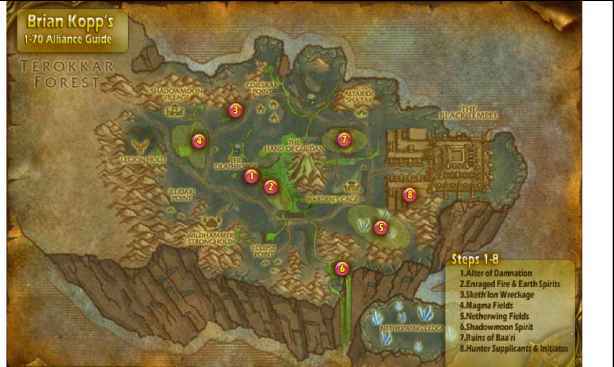 There are a lot of quests here as well so be sure to grab them or have someone share them with you before going in. The easiest of the four instances is the Graveyard. Once you clear the corridors and make it out to the Graveyard, be sure to look for Ironspine, Azshir, and the Fallen Champion as shown on the map below. These guys are rare spawns but if you see them, you will definitely like the blue items they can drop. Once the room is clear, go ahead and take out Bloodmage Thalnos. Once you are done, you can pick up a quest (Horde only) from a prisoner nearby. Depending on your level / group, you should be able to fight through this in less than 15 minutes. 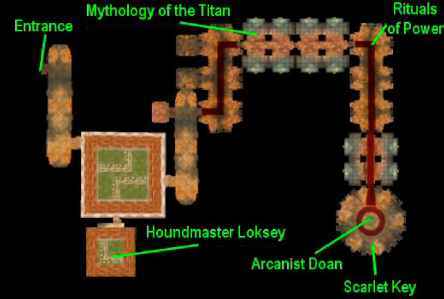 Here you will want to be sure that you get both bosses: Houndmaster Loksey and Arcanist Doan. Both of these are mid-30s Elite and each drop some nice blue and green items such as Watchman Pauldrons and Illusionary Rod. Once you defeat the Arcanist Doan, look around for a chest and inside you'll get the Scarlet Key which is needed for the remaining 2 instances. This one will start to get tougher as in here you will be looking for Herod, the Scarlet Champion. 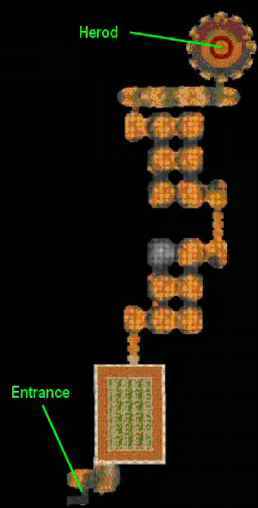 Unfortunately, there's no real shortcut to this guy, just follow the instance until you pretty much reach the last room. As with any instance, be sure that no patrols are coming by before you starting pulling. Once you reach and defeat Herod, he will drop some very nice blue items, most of which are geared towards a Warrior. A couple that I have gotten from him were the Swampchill Fetish and Beguiler Robes, both of which sold very well. You won't reach any bosses here until you go past the garden. Once you do, Mograine will be straight ahead. Before attacking, be sure to clear out as much as you can as he will be calling his friends into battle if any are still around. Once Mograine is beaten, Whitemane will come out and you will have to take her out as well. Both of these bosses will drop some nice blue items. 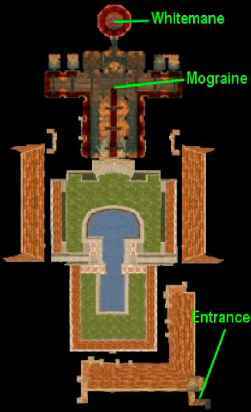 Before leaving, be sure to head over to the right and the torch you see is actually a switch. This will open up a room where you can find Fairbanks. Kill him and collect even more loot. Congrats, you have finished the Scarlet Monastery and collected a lot of gold as well as several very nice blue and green items.